Tony Stark is accused by Defense Minister Kuroda of sneaking plutonium into a Japanese undefended cargo ship. This ship has been attacked and the plutonium has gone missing, posing a grave threat to the country. Suspecting that he's been set up, Tony dons the Iron Man armor and vows to retrieve the plutonium to clear his name. He tracks down the stolen nuclear material and discovers that Zodiac, a terrorist group associated with Advanced Idea Mechanics (A.I.M. ), is behind this theft. Attempting to get Tony's attention, reporter Nanami Ota gets caught up in the chase and nearly killed. 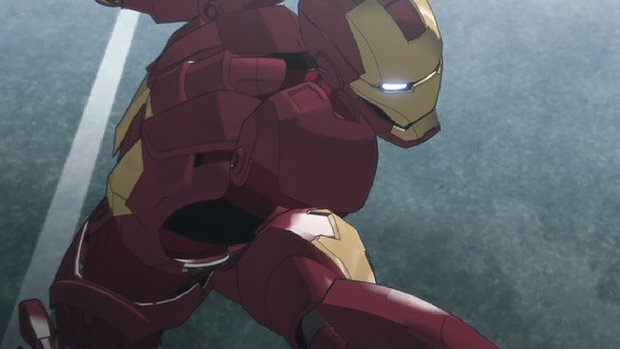 Iron Man ultimately defeats the Zodiac warrior called Cancer, and retrieves the plutonium while Nanami finally gets to write her first story on Tony Stark.